Ah, I let the blog lie fallow for a bit there. Nothing like my ninth Seven Quick Takes (and Link-tober!) to get back into it. Go visit Kelly for the rest of the quick takers! Things have been pretty normal around here. I feel like we’ve really hit a groove in New Haven: our parish is fantastic, we’re trying to practice more hospitality. It finally feels like home. And we might be moving again a year from now. I know we will end up loving wherever we end up, but it will probably also take two years. Ah, rootless academic life. 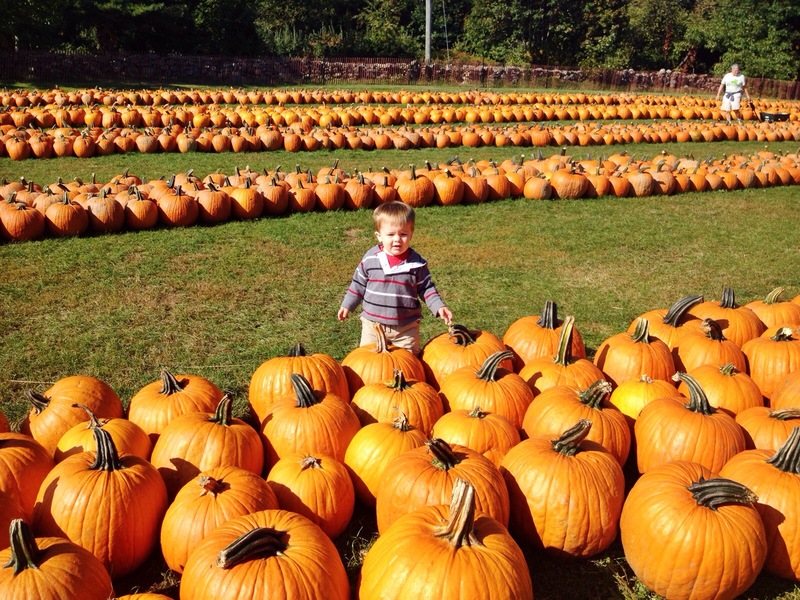 New England fall doesn’t hurt. I completed Week 3 of Couch to 5K this week. This is approximately three weeks farther than I have ever gotten in my previous attempts at C25K. I was inspired by something rather ridiculous: I followed the signs for a local tag sale speaking my language by promising free and cheap stuff from J.Crew and The Limited. 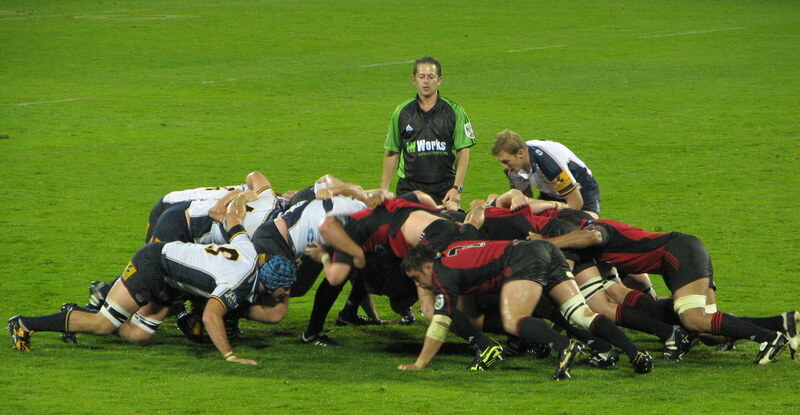 It was like joining a rugby scrum of deal-hunting women when I arrived, but I got in there with the best of ’em. After throwing some elbows, I made my way to the shoe pile and found out that the woman selling/giving away her stuff was also a size 10 and she told me I could take any of her shoes for free. I got some bright pink sneaks among several other pairs of shoes and decided it was a good enough excuse to start running as any. It’s been great. I even find myself looking forward to getting up before Christopher and before sunrise, jamming to T.Swift, and pretending I’m a real runner like the Yale-paraphenalia-clad joggers who inevitably pass me during one of my walking intervals. I still feel like a galumphing elephant much of the time – I’m glad I started listening to music because hearing my own huffing and puffing was somewhat demoralizing – but those gazelle-like floating on air moments come about once an outing. Makes it worth it. I’ve decided I just want 18 month-olds all the time. You mean I can have a child who sleeps through the night, can entertain himself for somewhat extended periods of time, has begun to be intentionally goofy, and gives me hugs when requested? 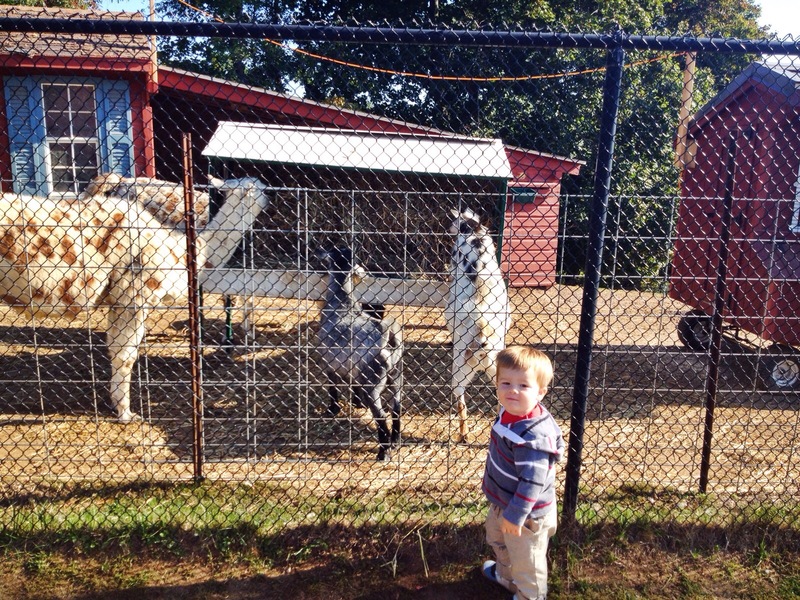 Christopher is a pretty great toddler, as toddlers go. He’s still a man of no words, but he’s working on it. The main toddler-esque absurdity I have to deal with is the typical sharing aversion. Christopher always gets mad at other kids at the playground for using the slide or the swing after he has finished. It makes me think that toddler logic has a lot in common with Lockean property rights. Christopher has clearly “mixed his labor” with the stairs or the slide and is experiencing outright theft on the playground. Locke: He’s great for toddlers. Happy Feast of Bl. 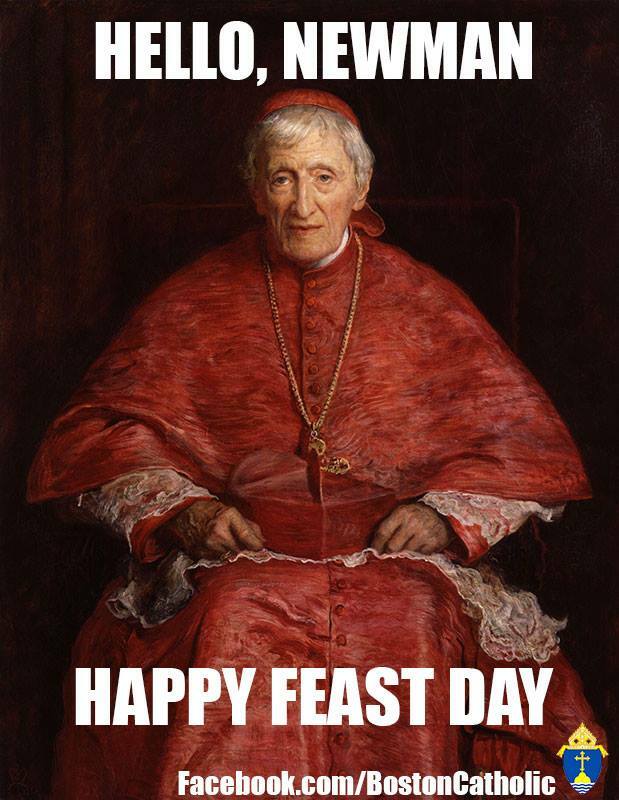 John Henry Newman! He’s heard many a request for intercession from me, fellow convert that he is. Newman wrote a lot of good stuff, but I am particularly fond of his incredibly earnest semi-autobiographical novel, Loss and Gain, about Charles Reding, a man studying to become an Anglican clergyman at Oxford, but is also wrestling with the claims of the Church. It’s not fantastic prose by any means, but he’s pretty good at capturing the personal turmoil that can lie beneath the intellectual struggle of conversion. You can read it on Gutenberg for free here. English Catholicism in general is fascinating to me and I am eager to find a good book on the topic if anyone has any suggestions. My liturgical training was from the 1928 Book of Common Prayer and one of the most powerful liturgies I have participated in was the Easter Vigil at an Anglican Use parish in Philly before I even started RCIA. I’ve got Anglo-Christianity in my spiritual bones. 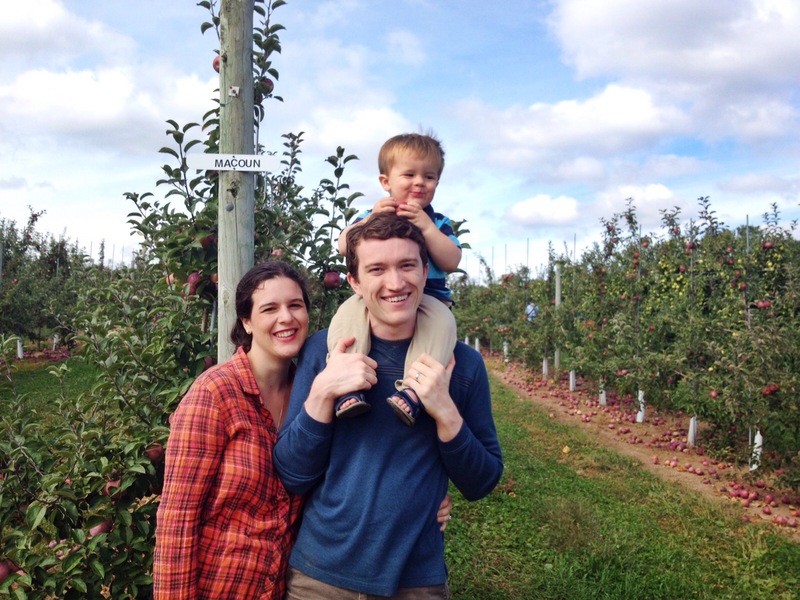 I continue my hobby of premature reading about homeschooling. I love everything Sarah MacKenzie is doing. And I’m looking forward to sitting down with this Andrew Kern talk about teaching literature. I’m teaching 17th-19th c. literature to middle schoolers this year and I’m still adjusting to leading a discussion instead of teaching a lesson like I did with my grammar class last year. We’re about to finish Pilgrim’s Progress, which has been fun, and will be reading a good gothic romance next in The Castle of Otranto by Horace Walpole. I told my students it will be a good book for Halloween because it’s a bit spooky, but one of my students seemed very concerned that it would be too scary. Oops. 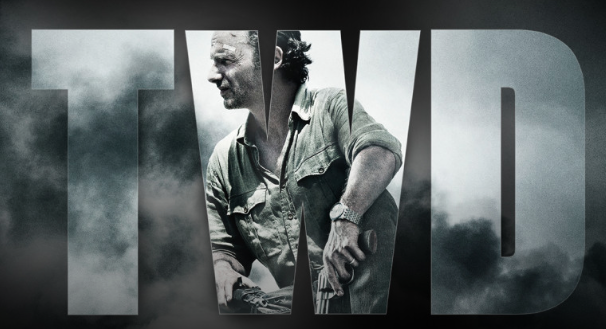 RICK IS BACK THIS SUNDAY. Chris and I dutifully watched all of Fear the Walking Dead. I was pretty excited since it was set in the semi-familiar locales of Los Angeles, but…eh. I had a good theory about the show that turned out to be wrong and this whole boat thing has the making of a terrifically boring second season. 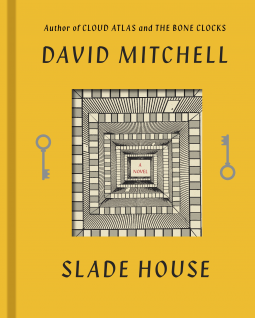 In case you missed it, I got to read the new David Mitchell book, Slade House, early and reviewed it here.